I know hydroponic growing is not easy but it is the best and safe methods of growing plants. hydroponic systems are costly and required experience. What if I tell you that you can grow plants without experience and spending much of hard-earned money on growing equipment. Kratky method or Passive hydroponic is the least expensive and easy to use method of growing plants. anyone can use it to grow fresh food. Today’s post is all about passive hydroponics or the Kratky method of hydroponics. What is this unique method (Kratky method)? 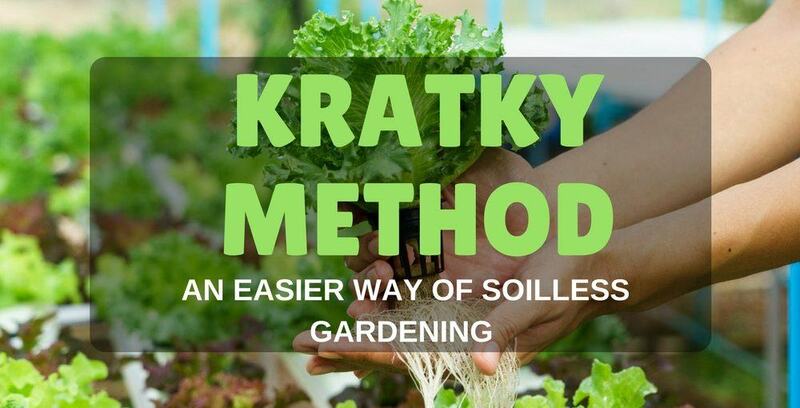 The Kratky method is a kind of DWC method with the difference of not having a water pump in it. in DWC a water pump is added to the system to circulate the nutrients. It is very simple methods to use especially for new growers or low budget people. This is as effective as the other hydroponic systems are but with some limitation which we will discuss later in this post. Save hundreds of dollars by shifting to this affordable system. This systems doe not need electricity to run means no high electricity bills. Moreover, you do not need to buy the costly electronic equipment for the hydroponic store. Not need to change the nutrient solution, no need to clean it, does not required electricity, no need to buy anything form the market etc. Plants will grow their own in the system. They do not require human attention but it is advised to watch them after few days for check-ups. This growing technique work on its own and give you free time to spend with your family and friends. Now how does this system work? As we all know our plants need three things to survive. Those are light, nutrients and oxygen to breath. Nutrient solution stays into the reservoir or container. Hung your plants over the container let them absorb the nutrients as they need. Put the plant into the net pot with the growing medium like Rockwool or peat moss. Net pot is required so that the roots come in contact with the nutrient solution easily and also grow out of it. As the plant absorb the nutrient water it exposes some part of the roots to the air. Which is the again beneficial for oxygen absorption. Plants also need oxygen to breathe. Oxygen help them to take up the nutrients to every part of the plant. Every type of food that we grow on our planet need oxygen to grow. Like other growing techniques this method also has some limitation which are as follows. Only for Green Vegetables: The system sis best to grow green vegetables only which required less nutrients to grow. For example, lettuce, spinach, basil etc. some growers also try to grow tomatoes but they did not get huge success. We do not recommend this system for growing tomatoes. Water: We are not going to replace the water of the system. In other hydroponics you can use normal tap water after adjusting the pH level. But in this case expert growers advise to use high quality of water. Filtered water is good to be used in Kratky method. Make sure to check and adjust the pH level of water if required. Water pH Level: Once the plants absorb nutrients the pH level of water gets disturbed. So, you need to check and adjust it after every 2 days. Some people are okay with this while others said they do not like to check pH level after few days. They want complete automatic system of growing which is not invented yet. 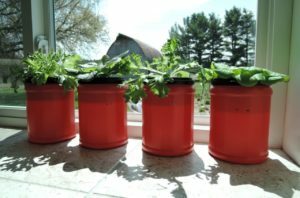 Which equipment you will need to set up Kratky method? Reservoir: This is the first thing you need to set up your own Kratky system. The size depends upon the size of plants that you need to grow and off course the number of plants. you can grow many plants simultaneously. You can use a 10-gallon bucket or 2 liters jar. Decide the type of plant you want grow and then choose the reservoir. Reservoir is just a normal container. Lid: A covering lid is very important it protects your system form diseases, pests and bacterial attack. If you are using old bucket you will not find lid for that. In this situation cover your reservoir with the Styrofoam. Lid also give support to your plants above the container. pH Tester: This test kit is mandatory to check the pH level of water because the water remains still in the system. No nutrients will be added once the seedlings are place on the top of the reservoir. The pH level changes continuously due to the nutrients absorbed by the growing plants. pH balance kit: pH balance kit is easy to use and highly needed for the adjustments of acidic level of nutrient solution. Buy it form the hydroponics store or order it online. Grow Medium: Use any of your choice like hydroton, Rockwool, Perlite etc. Net Pots: Do not forget to buy net pots. You can easily get them in the garden store. Check the quality of them and choose the exact the size. Nutrients: Hydroponic nutrients can be purchased from any nearby garden store or order them online for the best price. First of all take a drill and create the hole into the lid to hold the net pot. Take the exact measurement of net pot and the use the drill. Use marker or pencil for markings. Fill the container with distilled water. Check the ph level of the water in case you are using tap water. Choose the hydroponic nutrients according to the need of plant and add them into the reservoir. Stir the water of container continuously for 15 seconds. Wear gloves and protective glasses to avoid any accident while handling hydroponic nutrients. Use the pH tester and note the pH reading of nutrient solution. Then use pH up and pH down solution to adjust it to the recommended level which is between 5.5 and 6.5. Now place the lid onto the container and put the plant in the lid hole with the net pot. Make sure some part of the roots is hanging freely int the air while other part is dipped into the water.